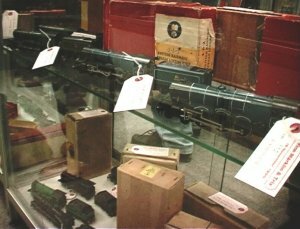 The Matthewman Collection, comprising a large number of TTR items, was sold at Christie's in London in 1999. 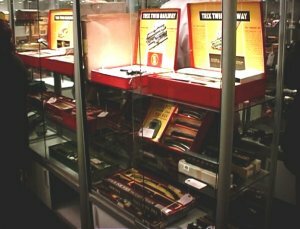 Tony Matthewman, a well-known Trix collector and expert, was the author of 'The History of Trix Model Railways' published by New Cavendish books. Photos below courtesy of Christie's. 1. BR Blue 0-4-0 passenger set, probably dating from 1951. 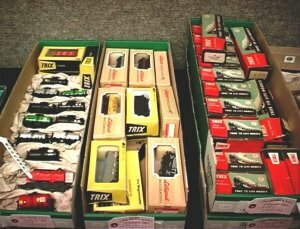 Several unused sets in original packing were on sale. 2. Breakdown set from the late 1950's. Ruston Hornsby diesel shunter, Crane Truck set, two plastic 3-plank wagons, and the rare Engineers Department coach. 3. Glass cabinet with a dozen sets on display. 4. 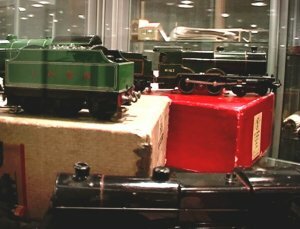 Several Scotsman locos, including blue and green British Railways livery. 5. Rare BR green Compound 4-4-0 AC loco, behind LNER green Pytchley and black LMS Compound. 6. 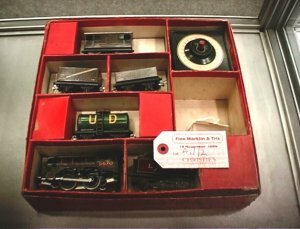 Uncommon small-box set, with LMS 0-4-0 and goods wagons. 7. 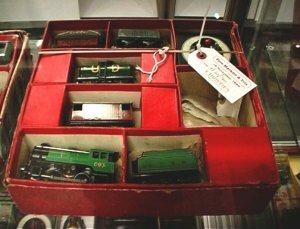 LNER small-box set, oddly with green passenger loco and goods wagons. 8. 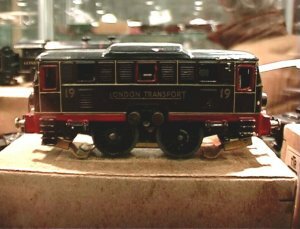 London Transport loco, only produced for a short period pre-war. 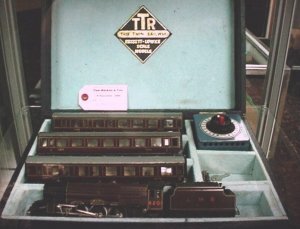 The loco is based on the German Trix Express electric loco. 9. 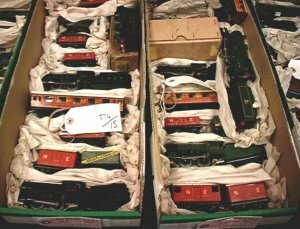 Many lots were a mixture of wagons or coaches. 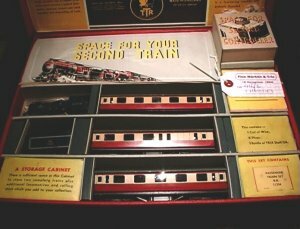 Late DC rolling stock on the left, pre-war items on the right. 10. LNER loco and wagons on the left, LNER and BR on the right. 11. 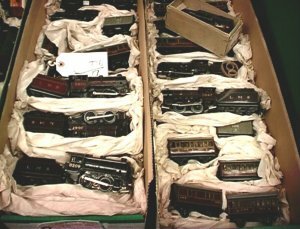 LMS locos, wagons, and coaches, including 4-wheel pre-war Suburbans. 12. 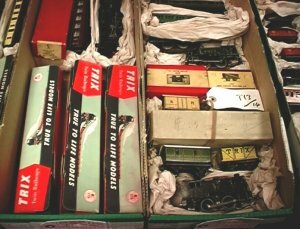 Late plastic rolling stock, including Liliput boxed. 13. 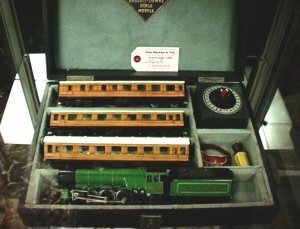 Princess set (only produced pre-war) in reproduction TTR Bassett-Lowke Scale Models presentation case. 14. 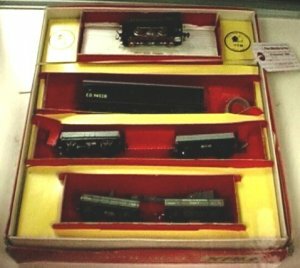 LNER Scotsman set in original presentation case. 15. 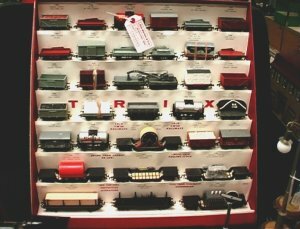 Special dealer's display unit, designed to show off the range of Trix wagons in a shop.